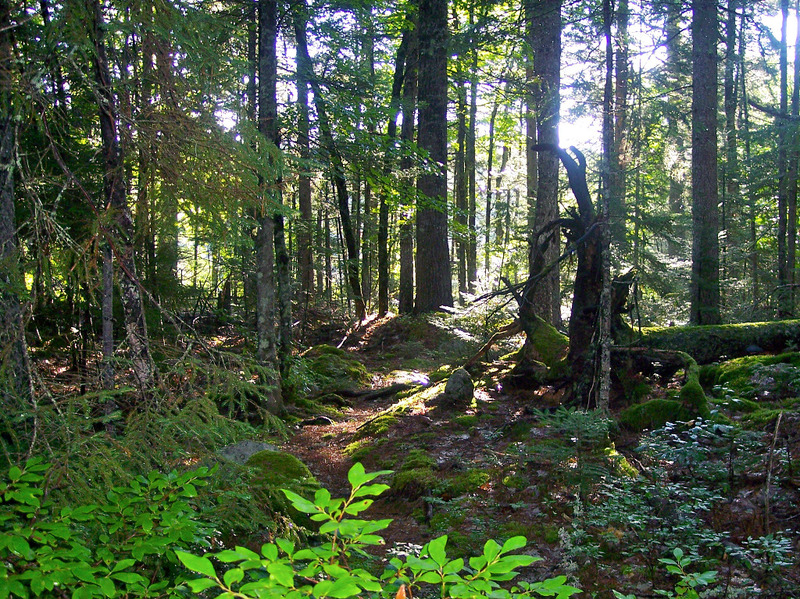 If you’re looking to explore Acadia National Park, Blue Hill Peninsula, and Downeast Maine, and prefer the sounds, sites and scents of nature— if you enjoy your privacy and your idea of vacation is exploring the beauty and natural wonders of this very special area— and then returning to a darling retreat house that overlooks sparkling water-filled quarries that host beautiful sunrises and sunsets each day and the most amazing cloud formations with heavenly shades of blue…You’ve found your way to the right place. Is this heaven?, you might ask…No— this is where heaven touches earth, Light Heart Retreat. The Blackberry Cottage is a cheery, darling retreat house built with writers, nature lovers, singles and couples in mind. It’s a simple design with open concept kitchen/dining and living room area. There’s one bedroom with a queen size bed and the bathroom has a full size shower. 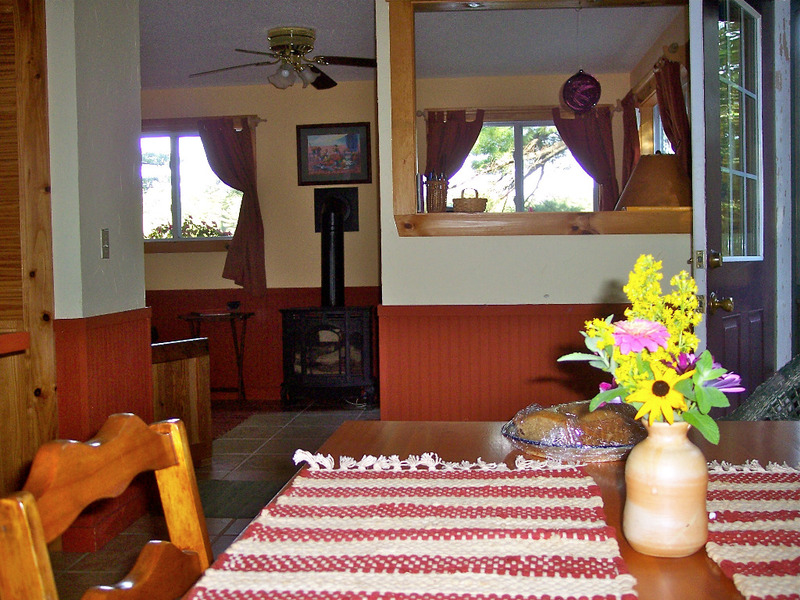 The cottage is heated by a propane stove so guests can be toasty in the cooler tempts of Spring, ealry Summer and Fall. 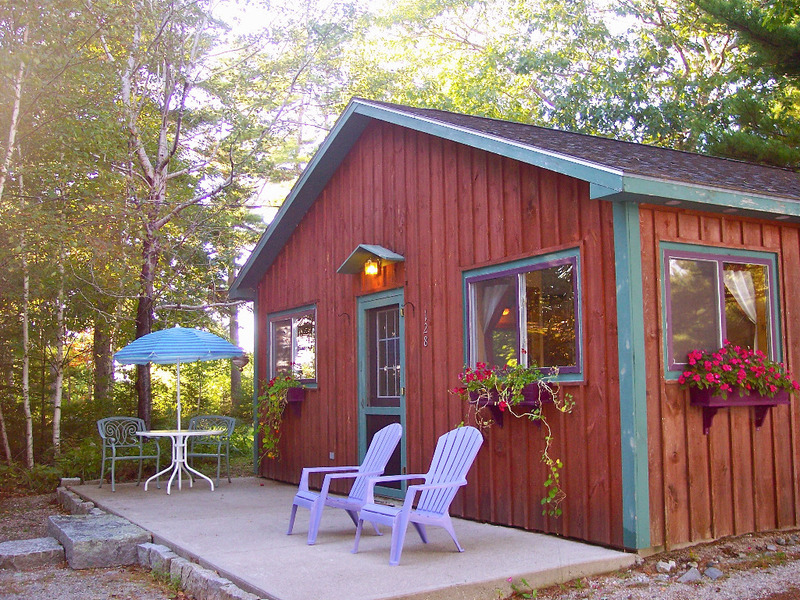 The cottage is fully equipped for cooking your own meals and has the basic food stuffs needed to get you started. Linens and towels are provided, as is Wi-Fi during the vacation rental season. The Blackberry Cottage has a wealth of outdoor siting options including a south facing patio at the entrance, a natural granite patio facing east overlooking the causeway and the large quarry. The fire pit is located on an extension of this patio, not far from your backdoor. This is not the owner’s summer cottage. It was designed and built for you. The owner, Joanna Pinney Buell lives on the north side of the quarry. 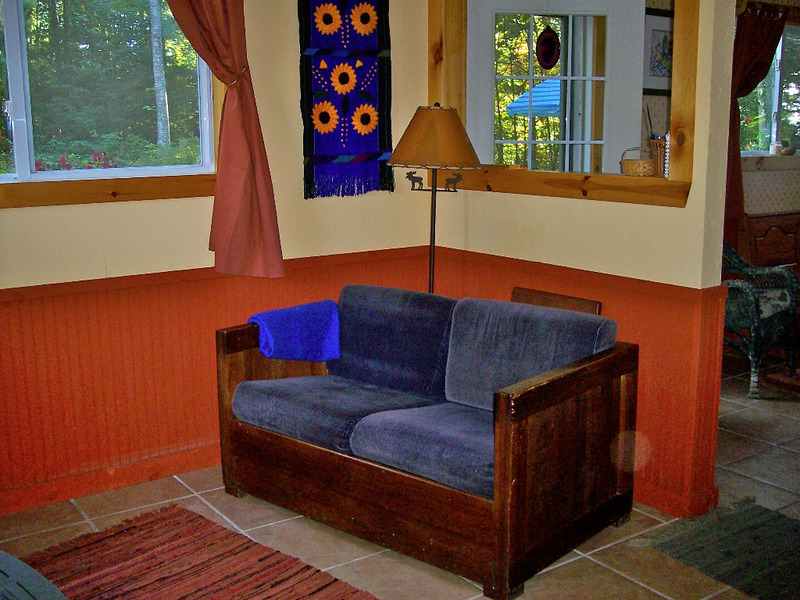 There is a second cottage, Huckleberry Hideaway, that hosts up to 4…people like yourself, looking for quiet, wanting something different than the lake or downtown Bar Harbor experience…Each of the three houses are private to one another. All guests are welcome to use the library, the sauna, swim at either of the quarries and walk the wooded trails. There’s the most wonderful bench at the standing stone circle to listen to the hermit thrush and watch sunsets from. Also there’s a dolman…a most interesting place to meditate in! Light Heart Retreat is at the end of a dirt road, 2 miles off Route 1 north in Sullivan. The entrance has a cable across it to protect privacy. Guests are screened for a good match. 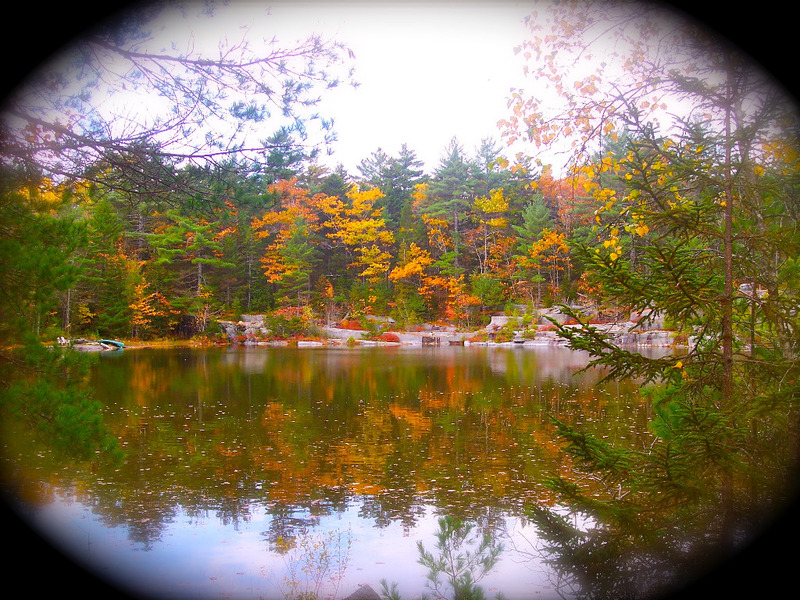 Light Heart Retreat has its own site with additional photos, slide shows, blog and information about area attractions. Owner is delighted to answer your questions and concerns and has compiled an excellent guide for guests with day trips and recommendations for eating, renting bikes, kayaking, etc. Long term stays may be available outside of June - mid October. Please contact Joanna if your area traveling professional looking for short-term affordaIf you’re looking to explore Acadia National Park, Blue Hill Peninsula, and Downeast Maine, and prefer the sounds, sites and scents of nature— if you enjoy your privacy and your idea of vacation is exploring the beauty and natural wonders of this very special area— and then returning to a cozy retreat house that overlooks sparkling water-filled quarries that host beautiful sunrises and sunsets each day and the most amazing cloud formations with heavenly shades of blue…You’ve found your way to the right place. “Is this heaven?”, you might ask…No— this is where heaven touches earth, Light Heart Retreat. 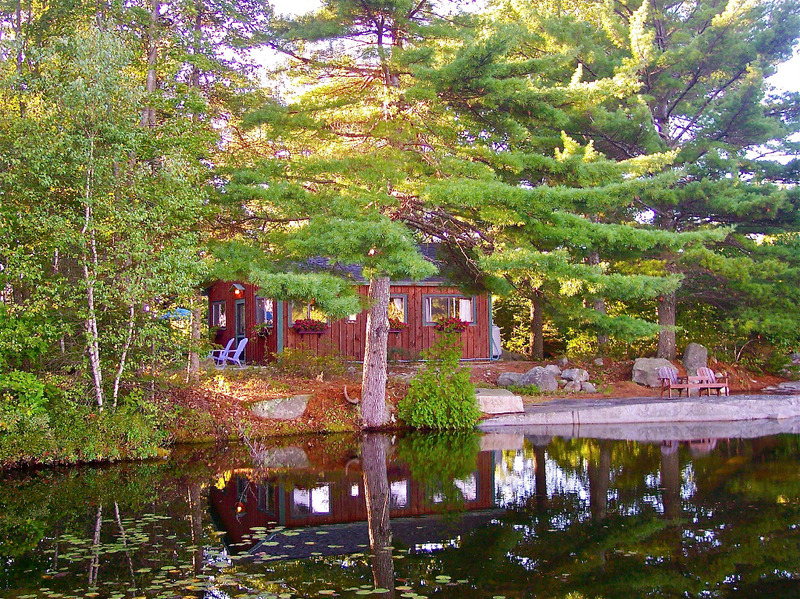 The Blackberry Cottage is a cheery, petite retreat house built with writers, nature lovers, singles and couples in mind. It’s a simple design with open concept kitchen/dining and living room area. There’s one bedroom with a queen size bed and the bathroom has a full size shower. 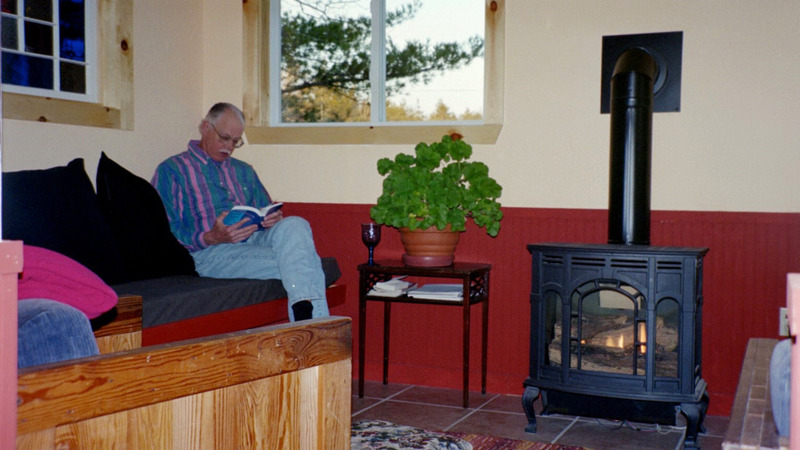 The cottage is heated by a propane stove so guests can be toasty in the cooler tempts of Spring, ealry Summer and Fall. 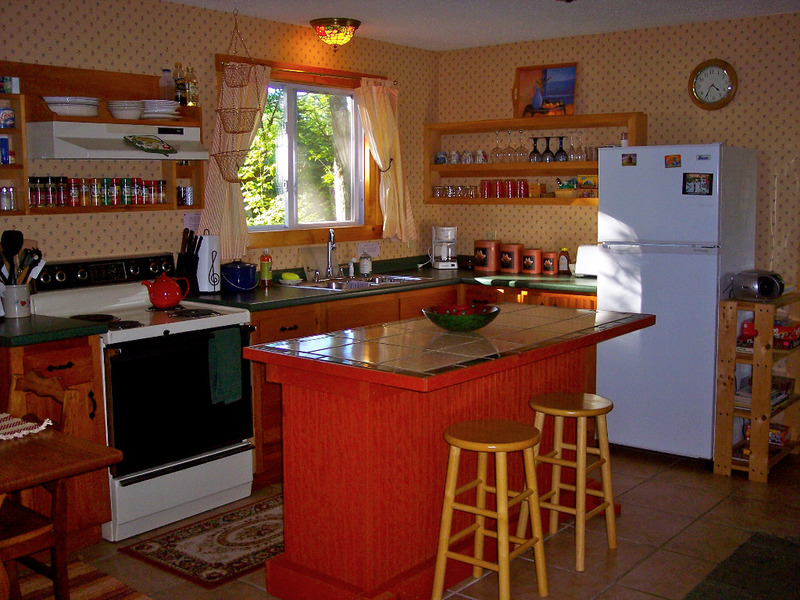 The cottage is fully equipped for cooking your own meals and has the basic food stuffs needed to get you started. 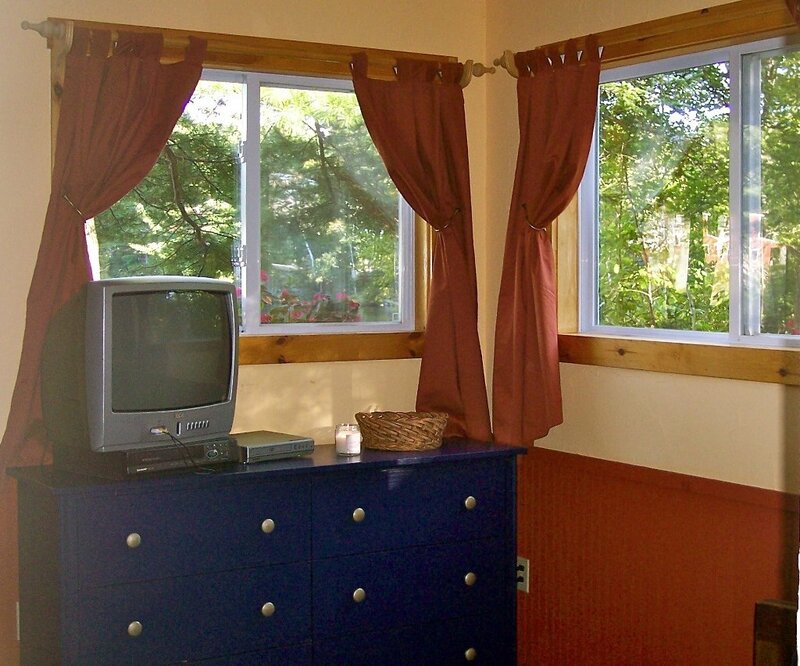 Linens and towels are provided, as is Wi-Fi during the vacation rental season. The Blackberry Cottage has a wealth of outdoor sitting options including a south facing patio at the entrance, a natural granite patio facing east overlooking the causeway and the large quarry. The fire pit is located on an extension of this patio, not far from your backdoor. This is not the owner’s summer cottage. It was designed and built for you. The owner, Joanna Pinney Buell lives on the north side of the quarry. 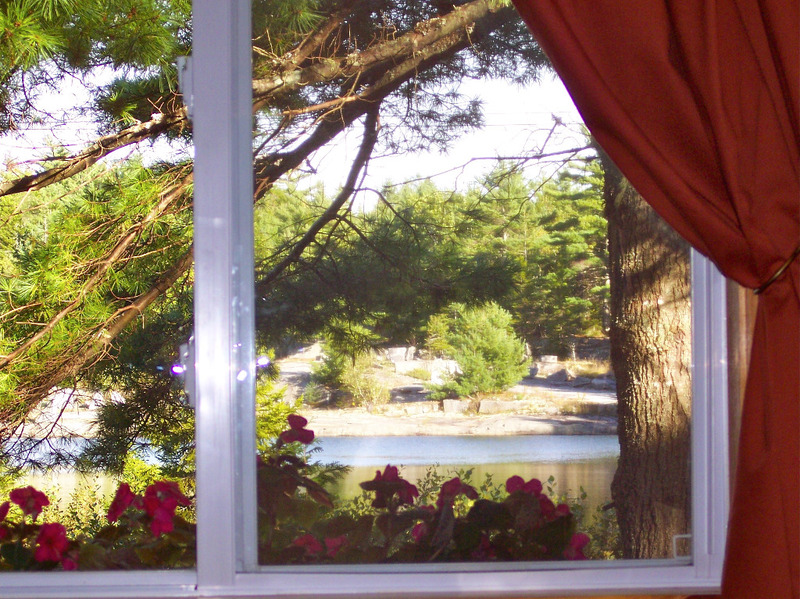 There is a second cottage, Huckleberry Hideaway, that hosts up to 4… who are people like yourself, looking for quiet, wanting something different than the lake or downtown Bar Harbor experience…Each of the three houses are private to one another. 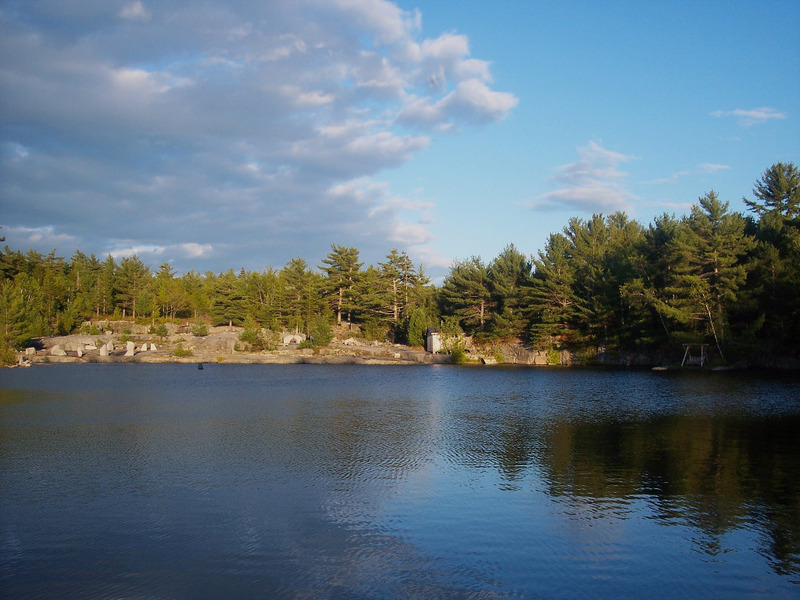 All guests are welcome to use the library, the sauna, swim at either of the quarries and walk the wooded trails. There’s the most wonderful bench at the standing stone circle to listen to the hermit thrush and watch sunsets from. Also there’s there’s the dolman…a most interesting place to meditate in! 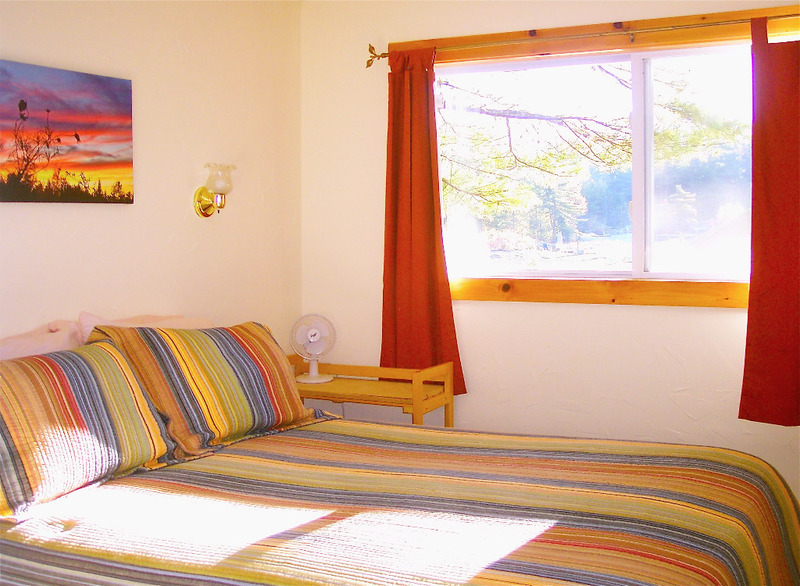 Light Heart Retreat has been welcoming guests to special place on the planet since 2003. Many of those guests have felt they were called to be here. Some have said that finding Light Heart Retreat was the answer to a prayer. Whether you feel called or not, I guarantee you’ll experience a peace and beauty here that is unique. This is a new listing on Connecting Rentals Worldwide. I've posted some reviews from our previous advertiser and a sampling from our guest book going back several years. You can also see some guest comments and reviews on the Light Heart Retreat site, as well as additional videos. Please print these out now and put in your glove compartment or send to your cell phone. GPS and internet directions have been known to err--not good if you’re arriving on a foggy evening. Use 130 Whales Back, Sullivan, Maine 04664 (my address) for on line map or GPS. Directions to Light Heart Retreat, Sullivan, Maine from NH/Maine line Rte.95. Go 95 N, take exit 44 through Portland (295 N, comes back out on 95 N). Less toll, less time, much more interesting. (Take any Freeport exit to get to LL Beans). Wooded, rural area. Blackberry Cottage is located at Light Heart Retreat with owner's dwelling and one other retreat house. 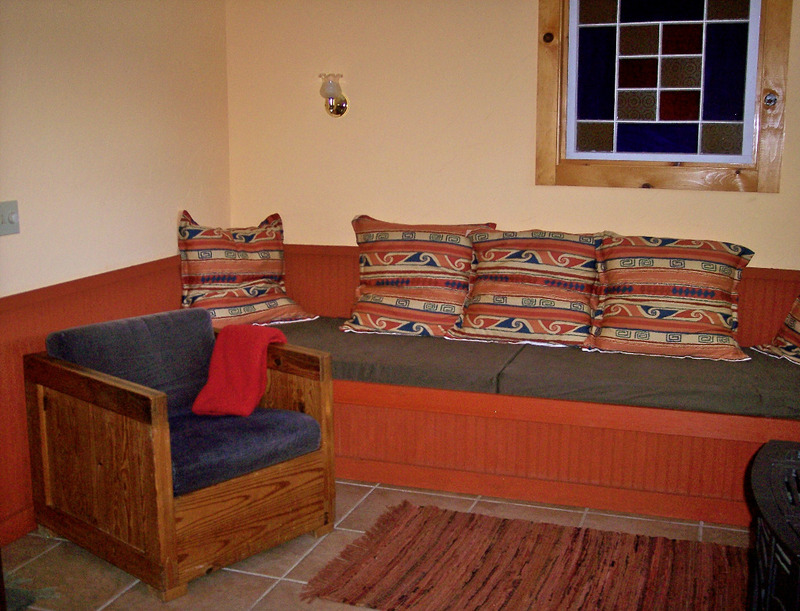 Light Heart Retreat has been serving guests since 2003. So close to everything a first timer to Maine will want to explore and sanctuary for the soul when you've had enough of being a tourist. This is a magical, mystical place holding the light for dear mother earth and holding a space for you to experience a deeper place in yourself, one that is accessible for you to access in the beautiful, vibrant energy of nature here. This is the place to come to when you're at a cross roads...and even if you're not, you'll leave here renewed. Security Deposit: See waiver on rental agreement. During the summer season, reservations are for one week (7 nights.) Check-in time 5 PM on Saturday afternoon and check out time 10 AM the following Saturday. Reservations. Must be minimum 25 years old. Payment due in full 90 days or less before arrival. Stays booking in advance of 90 days make a 50% deposit down to hold your reservation (or pay in full.) Remainder is due 90 days before arrival date. Reservation confirmed when paid in full. Payments accepted via PayPal. Rental Agreement. Guests sign and return a short-term lease. Pet Policy. No pets. The cottages are kept as allergen-free as possible. Smoking Policy. Light Heart Retreat is 100% non-smoking. This includes marijuana cigarettes. * Medical use of cannibis is allowed at Light Heart Retreat by other means other than smoking. Damages. A damage deposit of $200 via Pay Pal is required as a separate transaction. This amount will be returned to you via PayPal after inspection of premises within 48 hours of your departure when there are no damages. If damages amount to over $200, your signing of the rental agreement commits you to pay for the cost of repair. See waiver of deposit on rental agreement. Cleaning. Before check out, a small number of tasks are expected to be done by guests. There’s a check list on the fridge or in the cottage guide. Internet Use & Cell phones. High speed internet is available at each cottage via a router. No diving-anywhere. Swim at your own risk. Thank you for respecting our private space and the private space around each cottage. Please let us know immediately if something is not working or damaged during your stay. We also appreciate it if you replace or leave us a list of supplies you’ve run out of during your stay. Please contact us before on your check-in day or before, to let us know your approximate time of arrival. If it’s after 5 PM, or I happen to be out, I’ll leave your door open and lights on for you. Orientation. I ask to meet with all incoming guests within 24 hours of their arrival to do a brief orientation and answer questions. Preferably this is done upon your arrival. If you’ve arrived late, or I’m not here, please call in the morning to set up a time for us to meet. You’ll find a guide in your cottage with a wealth of information. There’s an orientation list in your guide. The best way to contact Joannaefore your arrival is through e-mail: info@lightheartretreat.com . While at Light Heart Retreat or on route you can call and leave a message between the hours of 8 AM and 8 PM 207-669-4554, land line. 207-801-1548 cell. If you’re lost on the way CALL at any hour. So far we’ve never lost a guest :):):) Though quite a few have found themselves here. What to bring: Bring your toiletries, hairdryer, your groceries. I suggest you stop for groceries on your way. We provide toilet paper, paper towels and cooking basics, plastic wrap, tin foil, etc. We have coolers, iron & board, etc.—just ask. Please bring your own beach towels, thanks! Any allergies to nuts, seeds, coconut, chocolate or anything else else I should know about? Reservations coming through LHR are paid via PayPal request. HomeAway/VRBO reservations paid through that service. Thank you for making payment and returning completed agreement within 24 hours. Rental Agreement: Owners of this unit are not responsible for any accidents, injuries or illness that occur while on the premises or its facilities, including watercraft. The owners are not responsible for the loss of personal belongings or valuables of the guests. By accepting this reservation, it is agreed that all guests are expressly assuming the risk of any harm arising from their use of the premises or others whom they invite to use the premises. I have read the policies and rules attached to this agreement and agree to make all other of my guests aware of them. I agree to read the orientation and resource guide and meet briefly with owner within 24 hours of my arrival so that the host may be made aware of any concerns and questions. Host may also demonstrate use of wood stove and other items that guests may not be experienced with. Please read the policies carefully first before signing your rental agreement. Thank you. Saturday afternoon and check out time 10 AM the following Saturday. Internet Use & Cell phones. High speed internet is available at each cottage via a router during summer months. If coming outside of the high season, please let us know if you require an internet connection as it may on suspension during the quiet season. Cell phone coverage excellent here, so possible for you to set up a hot spot. also appreciate it if you replace or leave us a list of supplies you’ve run out of during your stay. The best way to contact me before your arrival is through e-mail: info@lightheartretreat.com . While at Light Heart Retreat or on route you can call and leave a message between the hours of 8 AM and 8 PM 207-669-4554, land line. 207-801-1548 cell. If you’re lost on the way CALL at any hour. In Bangor take exit 182A to 395. 395 takes you to Route 1A. Follow signs that say Ellsworth/Bar Harbor. Take Route 1A to Ellsworth (will take about 35 minutes from Bangor to Ellsworth). Proceed along Route 1A through business section with Shaws Supermarket, Hannafords Supermarket, restaurants. After Hannafords, get in left lane. At intersection with Governor’s and Macdonald’s on your right, go left onto Route 1 north. (If you went straight this road becomes Route 3 and goes into Bar Harbor). *If you miss the left turn you’ll need to take a left where you’ll see Home Depot. Turn right onto Rte. 1 at the end of this jog. Go about 1 mile on Taunton Road. Look for a beige 2 story house with a front porch with lattice work that sits close to the road. After you pass this house take immediate next right onto Quarry Road. Take 2nd immediate left onto Whales Back Road. Go straight. The paved road becomes a dirt road. 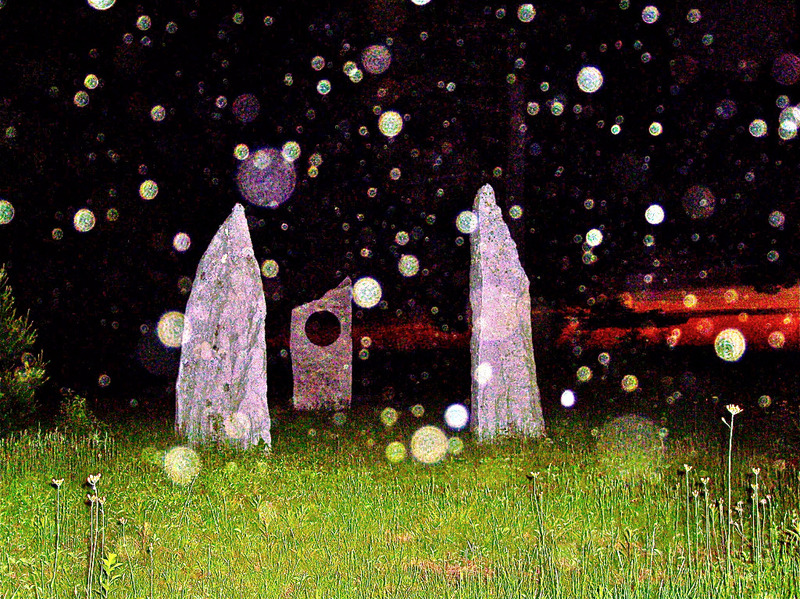 You’ll pass through David’s son’s Granite Garden Gallery. His home is on the left just before the entry to Light Heart Retreat. There may be a cable up across our entry stones. It unhooks on the right. You’ll see a sign that welcomes you to Light Heart Retreat. Stay to the left hand side and take a left before the causeway at the swing to the Blackberry Cottage (on your right) or Huckleberry Hideaway (on left and down the slope.) Owner’s house is located across the quarry via the causeway. Home phone is 207-669-4554 if you get lost. 207-801-1548 cell #. About 2 years ago I took a job at a startup. The hours were long, the pace frenetic, but the mission was amazing; truly a once in a lifetime opportunity. After that opportunity concluded, I resolved to find a peaceful spot in Maine to recharge my battery and reconnect to myself in between jobs; which is how I ended up on Joanna and David's doorstep one Sunday for a weeklong stay at the Blackberry cabin. There are many things to commend the cabin, and the retreat more broadly to you if you are seeking peace. Joanna and David provide fabulous hospitality (they delivered fresh vegetables from the garden to us several times). The retreat location is essentially equidistant from Bar Harbor and Winter Harbor; having spent a week previously in Bar and Northwest Harbor I was astonished at how remote and gorgeous Winter Harbor is on a long run. the Retreat itself is fantastic - there are plenty of fun things to do right there, be it swimming in the quarry on summer morning, canoeing in the quarry, enjoying the amazing wood fire sauna, or standing in the stone garden. 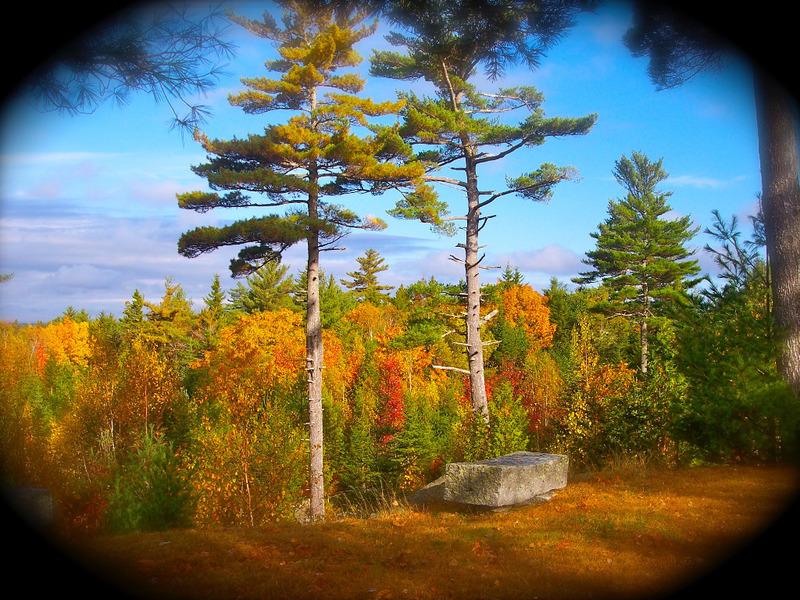 To my mind, the retreat is the ideal place to go if you want to be close to Bar Harbor but not TOO close; it affords you the option to explore more remote, less bustling (and commercialized) parts of Maine while also allowing for you to go nowhere at all. I would be remiss if I didn't note that David and Joanna have gone out of their way to shape the natural beauty of the area to foster a harmonious space. David in particular seems to have a deep affinity for stone that I've not encountered anywhere else. If natural beauty is what resonates with you, I'd encourage you to consider a stay here. ~ Dave U., D.C.
We arrived at Blackberry Cottage exhausted and sleep-deprived (after selling our home and in the process of moving to a new city). Joanna, lovely soul that she is, received us with abundant hospitality and made sure we had everything we needed. The cottage overlooks two quarry ponds and is a perfect spot to relax and renew; we spent a week there and would gladly have spent another. 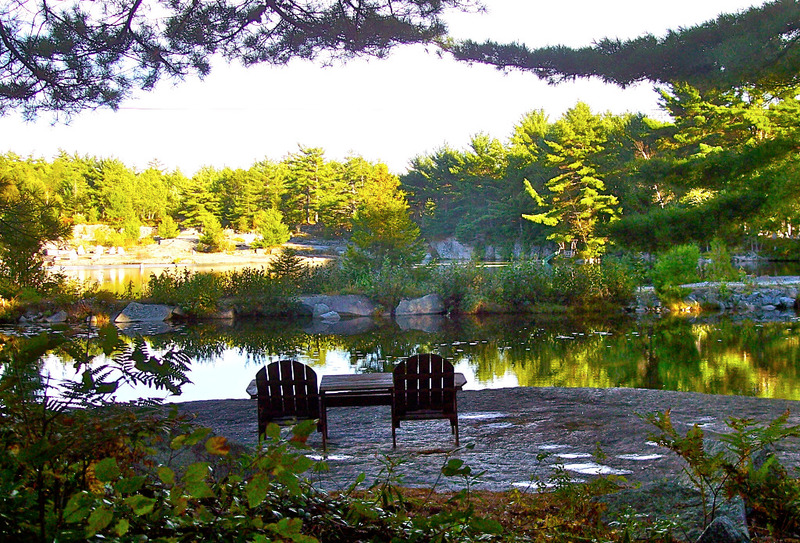 Swimming, hiking, blackberry picking in the area, biking around the Schoodic Peninsula and visiting the Schoodic Environmental Research Center, driving over to Acadia and then coming home to a quiet retreat spot -- what could be better? ~Sue W.
If you love quiet walks, reading by the water in an Adirondack chair, or swimming in crystal clear quarry - this is the right place for you. My wife and I rented the Blackberry cottage the first week of July, 2016. We arrived exhausted after changing jobs and selling our house, but the peace and beauty of this place gradually did its work and we emerged renewed and happy. 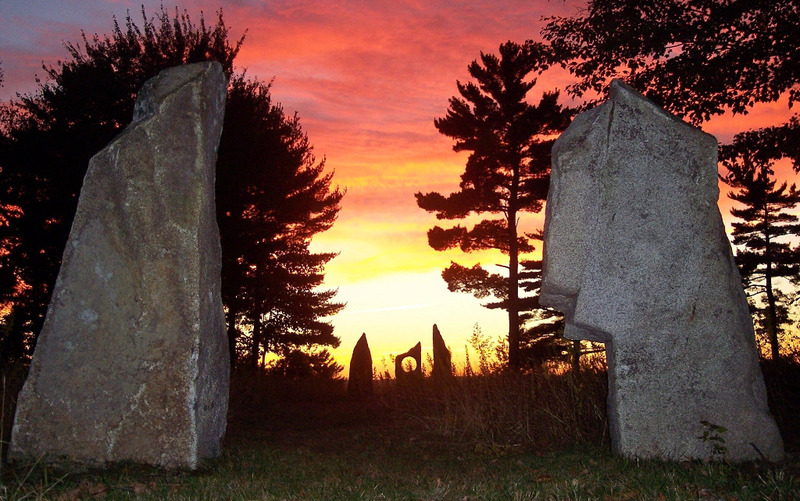 This place has a magical feeling with granite sculptures scattered around the quarry and a stone circle reminiscent of Stonehenge. Ask for directions to the meditation hut overlooking the second quarry. 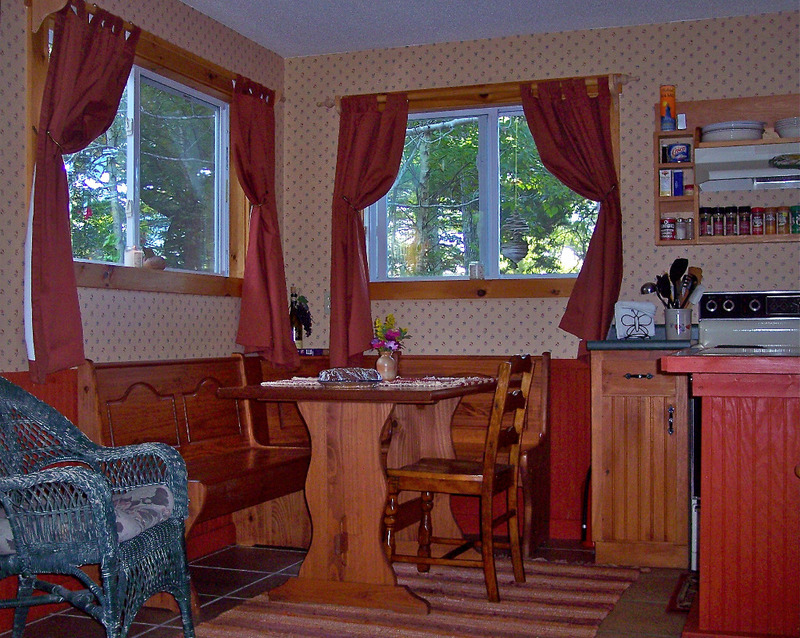 The cottage is cozy and comfortable with everything you need for cooking. The owner, Joanna, is a lovely soul who greeted us our first night with her homemade banana bread. She is very helpful with directions to restaurants, hikes, and stores. We enjoyed swimming in Donnell Pond and hiking up the nearby Black Mountain which has views as good as Acadia National Park without the crowds. But, if you want to hike in Acadia, it's just a 40 minute drive. ~Rand W.
The cottage was everything that Joanna advertised and more. She provided us with a nice treat upon arrival and even went out of her way to make a gluten free treat for my wife. Very classy. The property is nestled in the woods just off a spur road and is very quiet. The cottage is right off the quarry where the morning reflections were wonderful. The cottage was clean and the bed was very comfortable. The kitchen is well stocked with the necessary items to cook meals and relax. I would highly recommend this property for two people wanting a nice getaway. It is located near both Schoodic as well as Acadia NP. The drive to both places is picturesque and easy. Thank you Joanna for a wonderful experience. ~Jim S., New Mexico.